Jaclyn contacted us in regards to designing some modern baptism invitation for her son's baptism. 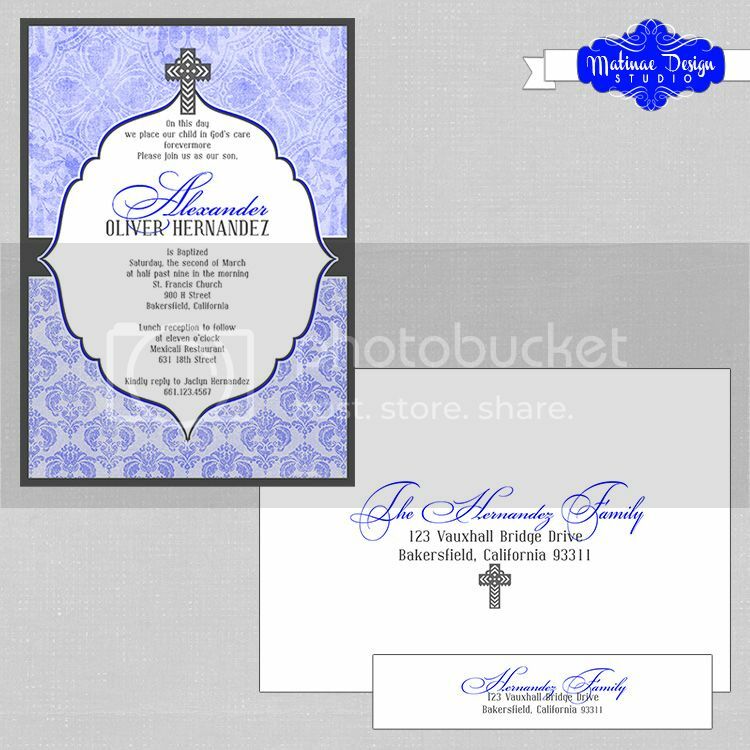 She sent us some inspiration using damask prints, chevron stripes, crosses and a color scheme including royal blue and gray. We created several sample designs for her and this ended up being the winner! The panel was printed on white metallic paper and layered on steel gray metallic cardstock. The invitation was enclosed in a metallic envelope that featured coordinating addressing.